Walking Tall has a wide variety of options for your boarding needs. We have four different barns, all with varying sizes of stalls and runs. There are six pastures and five additional stand-alone runs that allow you to pick and choose how often you would like your horse turned out. While any and all horses are welcome for boarding, Walking Tall specializes in training Tennessee Walking Horses. Other gaited horses may also be trained depending on their background. We can take in and train horses of any skill level and work with the owner to get their horse to the level that they desire. 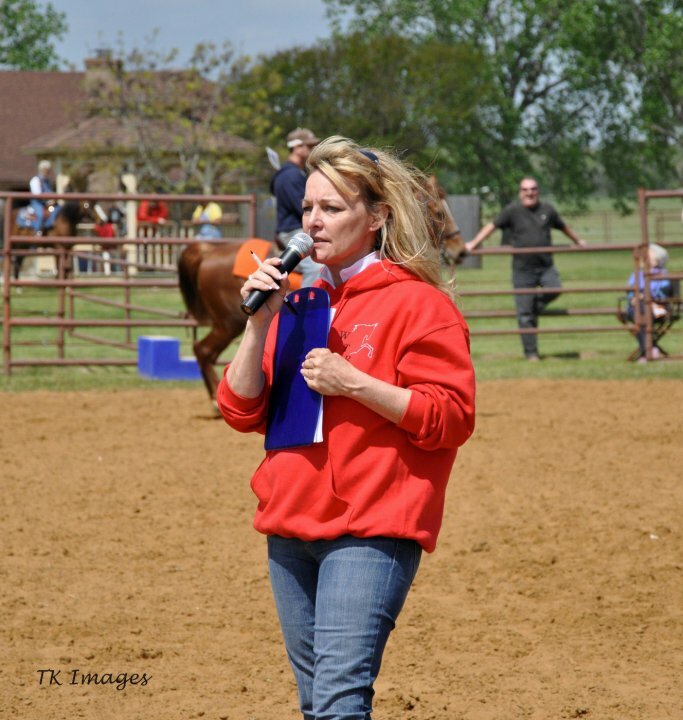 Leslie Atkins-Shambo has earned her stripes as a veteran trainer, taking in trainees of all ages and experience levels over the past 20 years. No matter your comfort level, she will ensure you reach your goals, whether they be in the show ring or on a back country trail. All our barns are fully equipped to ensure everything you need is at your fingertips. Each barn has a designated room for all of your tack. Next to all tack rooms are multiple racks, with plenty of grooming equipment and space to comfortably saddle your horse. Finally, each barn will have it's own wash rack, letting you start and finish your ride all from the same location no matter which barn. No matter the weather, we want to make sure you can come out and ride your horse. Our indoor and outdoor arenas are accessible at any time by any client. These arenas are the perfect alternative if you are not feeling up for the nearby Lake Ray Robert's trails. In addition to a barn, the indoor arena also has two apartment units attached to it. These are available for rent, long-term or short-term. Please feel free to reach out to us in the "Contact" section to inquire further. Our arena barn is also what we refer to as our show barn. With high ceilings and large stalls, this barn is a favorite with most of our clients. Full tack room, multiple tack and wash areas, and direct access to the indoor arena are what this barn offers you. Our stone barn is the only barn offering attached runs to each stall. The stalls themselves are sized 20' x 15', however that size is greatly increased with the 20' x 30' runs. This barn is outfitted with a bathroom, full tack room and wash rack, as well as tack areas to saddle up. Additionally, each stall comes with automatic water and fly spray system. Located next to the automatic horse walker, the gelding barn offers convenient location on the ranch and large airy stalls. Recently renovated, the gelding barn boasts the newest features and brand new beautiful stained wood wash rack and tack room. Stalls sizes offered are 12' x 24'. Over the past three decades, Walking Tall Ranch has grown from humble beginnings as a family-and-friends barn into the bustling full-service ranch you see today. Leslie Atkins-Shambo's magnetic personality and passion for horses have drawn in enough individuals to warrant four moves over the course of her career into larger and larger facilities in the area. Leslie still runs the facility herself, ensuring all of her clients have a safe, enjoyable and memorable experience at Walking Tall Ranch.